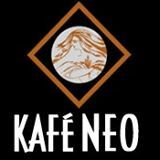 Kafe' Neo Greek and Mediterranean Restaurant, in the thriving Mill Creek Town Center is owner Sofeea Huffman’s newest Kafe' Neo location. Our Mill Creek location was opened in 2008, in the north end of the complex. We seat 60 guests in the restaurant, 25 in Neo Bar and 30 on our seasonal outdoor patio.